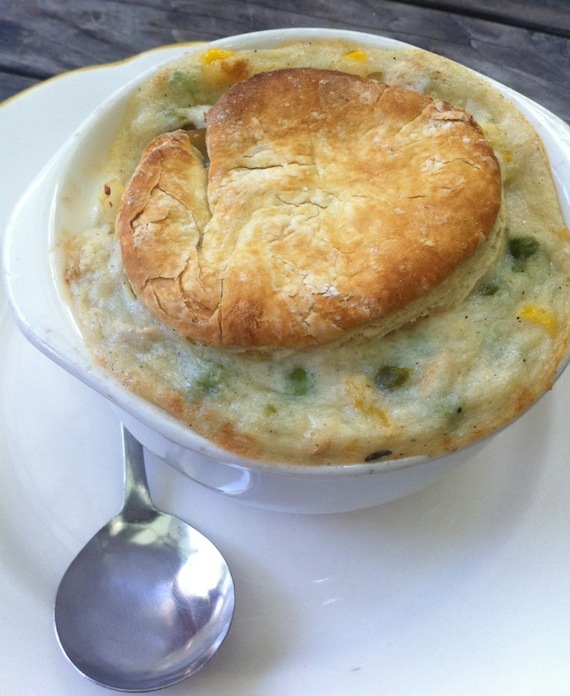 vegan chicken pot pie is BACK at larkin’s in eagle rock. GO, GO, GO! hungry vegans, your voices have been heard! 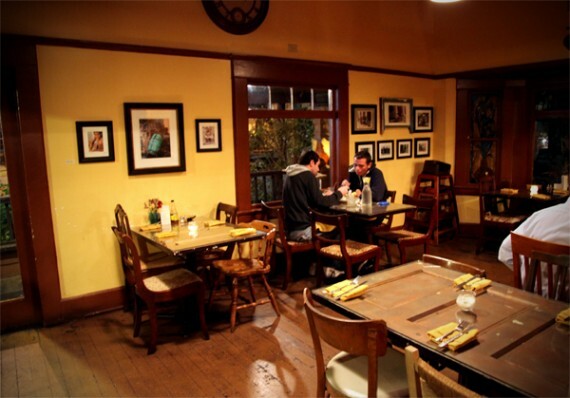 last week we blogged that larkin’s in eagle rock had recently discontinued their bangin’ vegan menu, and obviously you weren’t too happy about that. SO SAD! 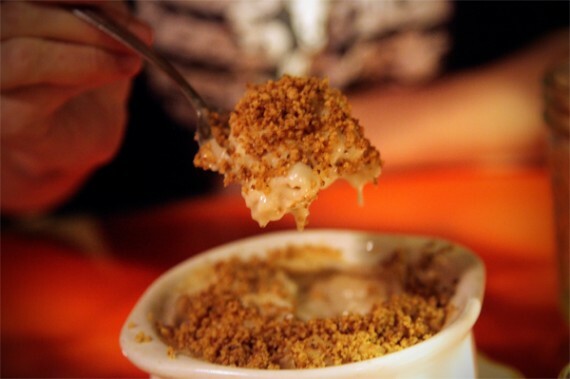 i loved their spicy walnut vegan mac n cheese, and i never had a chance to try their chix pot pie! turns out the vegan-friendly menu we raved about at larkin’s in eagle rock has been canceled due to lack of demand. a reader wrote into us and said that her server at larkin’s encouraged her to call the restaurant and ask for vegan options—maybe they’ll bring them back. i already put in my phone call! vegan chix pot pieee at larkin’s! UPDATE: larkin’s has discontinued their vegan menu! sad, sad. couple-o-months ago, QG and i hit up larkin’s in eagle rock. one thing i reeeally wanted to try was the pot pie, but they were OUT. i was heartbroken. the meal i ended up getting (mac and cheese) was delicious, but fresh veggies and faux chicken sandwiched between two flaky biscuits would have warmed my little soul. i thought about pot pie for weeks – months, even – and then like some birthday miracle, i found myself at larkin’s recovering from one of my birthday parties. and this time they had pot pie! i ate this thing in record time, it was sooooo good! i could probably eat 1,000,000 of those biscuits. MAYBE i will! vegan soul food at larkin’s in eagle rock! los angeles vegans are in for a treat! 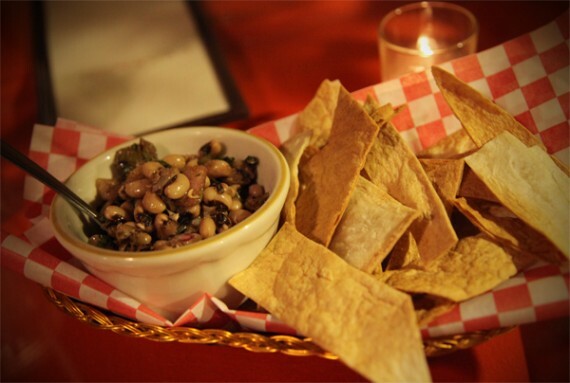 as of last week larkin’s, a popular contemporary soul food restaurant in eagle rock, has introduced a brand new green menu which is almost entirely vegan. i first found out about this from our resident QG writer brittany, who was forwarded an email about the launch of the menu by a co-worker. britt and i decided we had to check larkin’s out for ourselves, to see how good the new vegan options at this meaty soul food restaurant could be. i’m happy to report that we were not disappointed! entering larkin’s is like stepping back in time; vintage posters adorn the walls and drinks are served in old school jelly jars. it really feels like you’re eating in someone’s living room—in fact larkin’s looks like one big house that’s been converted into a restaurant…complete with deck/patio dining!